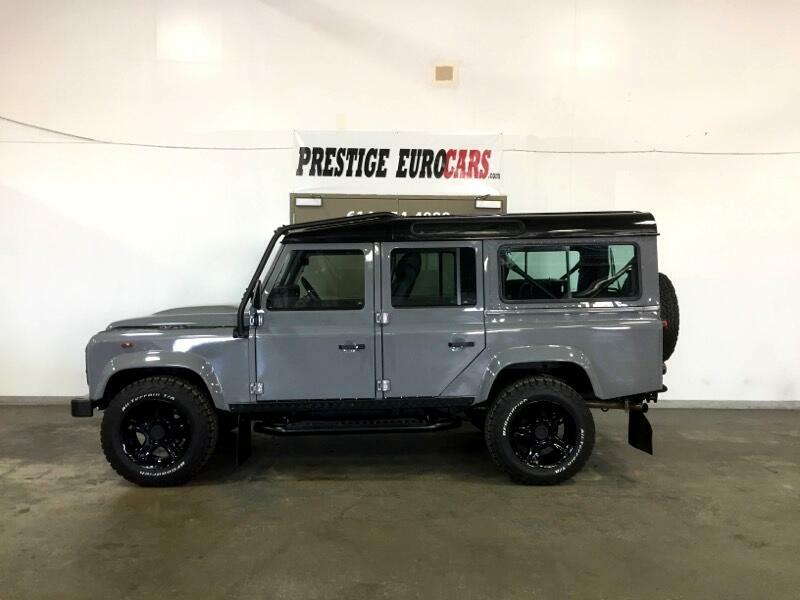 Defender 110 with Rare Factory V8 gasoline engine! Nardo Grey! Full recent restoration! Reconditioned and serviced original V8 engine! 101k KM roughly 62,000 miles! New brakes, New suspension! New Clutch! New exhaust! New tires! New interior! Heated adjustable seats! Leather dash! New lights! Roll cage external and internal! 3rd row seating! Air conditioning! Looks amazing! Message: Thought you might be interested in this 1988 Land Rover Defender.